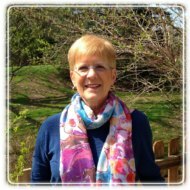 Beachwood Therapist: Carol Paull - Therapist 44122. Carol Paull is a Licensed Independent Social Worker with over 25 years of experience. She counsels individuals, couples and families. Carol has a Masters Degree in Social Work from the Mandel School of Social Work at CWRU and a Masters Degree in Education from the Bank Street College of Education. Carol provides guidance for parents dealing with issues that arise with their children as they grow up. She has provided consultation to preschools and daycare centers. Individual therapy is for people seeking help when life is unsettled or in crisis. Carol works with clients to enable them to understand their concerns, adapt or change so that they are able to move forward in life in positive ways.